This post comes courtesy of Fueled, a mobile design and development company based in New York and London. You can read more posts like it at the Fueled blog. Author Jack Flanagan is freelance writer at audience.io and contributes to the Fueled blog. In August, Twitter brought back its support for IFTTT (‘If This Than That’), the app that lets you connect various APIs in the form of “recipes”. For example, one recipe lets you favorite a tweet on Twitter, and it will automatically be saved to your Pocket. IFTTT has received a round of 5 star reviews for its simple (and pretty) interface. For the most part, the recipes are small in scope – such as the Pocket example above. This is simply because recipes can only be in two parts. Still, you’d be surprised at how some users have manipulated the system for quite complex automated actions. If your Internet life is beginning to wind tighter around Twitter, then here are a few new recipes to throw into your pot. A IFTTT classic. Keep everyone updated with this recipe so that every time you post a Facebook status, your Twitter profile will catch up by tweeting the same. This particular recipe allows you to select what exactly gets shared – which could be helpful, if is perfect if you need to let off steam about your Facebook friends without regretting it later. Twitter only keeps about a week’s worth of tweets available through its Search. So what happens when you want to access all of your old statuses? With this recipe, every time you tweet, your status gets copied into a Dropbox folder. So for those rainy days when reading through every one of your tweets seems like a suitable pastime, you’re good to go. This recipe lets you share your Pocket-ed (bookmarked) Web pages with your Twitter pals. You might want to change your Pocket-ing preferences to for this feature, i.e. turn Pocket into a curation service for The New Yorker or WSJ. You can set a specific time to send a tweet from your account. Not wildly innovative, but saves you from ducking out of your own birthday party to tap out a quick “Love you guys, here’s to the big 3-0”. Further ideas include: New Years, Halloween, or even a simple ‘Good Morning!’ tweet. Most people share videos they find popular. This recipe cuts time by taking your favorite videos and putting them on Twitter. As with Pocket, you’ll need to be careful about what videos you favorite. Here’s the TED Youtube to get you started. This shortcut has proved popular – keep your social media profile pics in sync. A useful time saver if you’re careful to keep your accounts in photo alignment. This option automatically puts your favorited tweets in an Evernote folder. The ability to organise these tweets into folders in Evernote might make this preferable to the Pocket option if you don’t mind looping back to the links once you’re back online. A personal favorite, especially with Twitter push notifications. If it’s going to rain, your twitter DM will let you know! The email option is also great, depending on which platform you use the most. For those who love Vimeo, this recipe can deliver a 10-minute treat to your inbox. A fair warning: Staff picks are pretty frequent, so it might drive you crazy to get so many DMs. In fact, you may see a lot of actual DMs lost in the deluge of film shorts and animations. IF you create a recipe, THEN tweet. 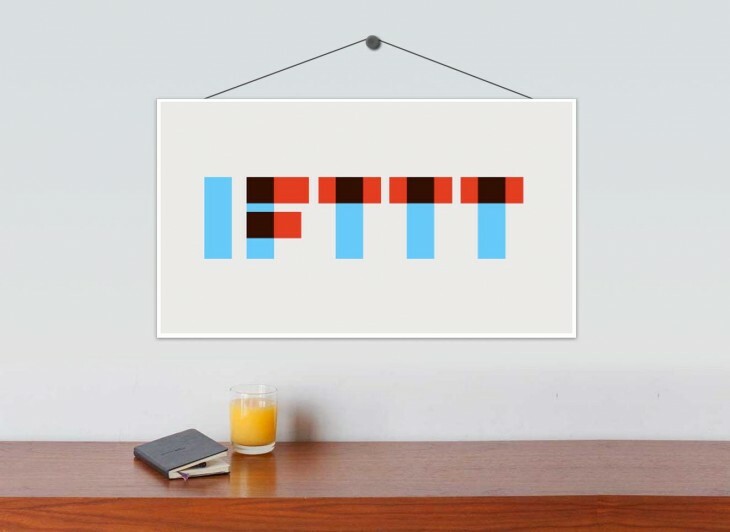 Pretty simple, IF you get any good ideas, THEN let IFTTT know!